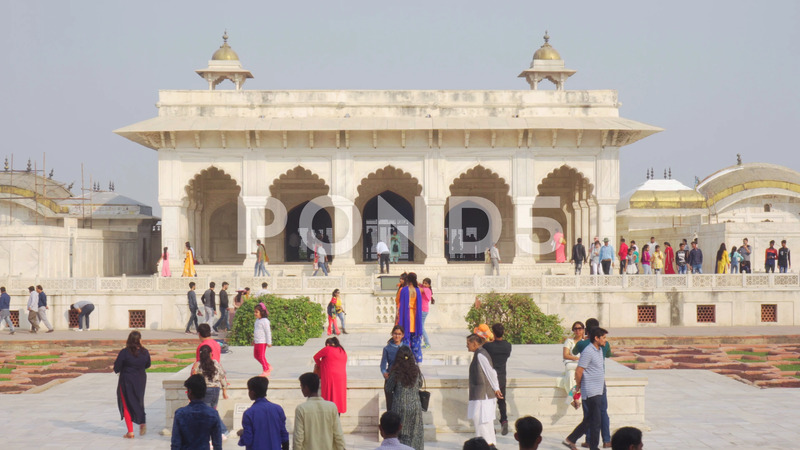 Description: Agra, India - 9 November, 2018: Visitors walking along scenic courtyard of the Khas Mahal (Aramgah-i-Muqaddar) in the Agra Fort. Women wearing traditional colorful sari. Mughal architecture.